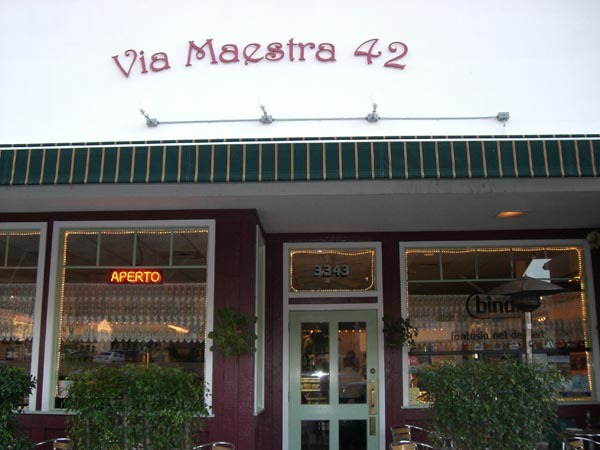 The staff of Via Maestra 42 Ristorante in Santa Barbara joined in a special �dinner out� fundraiser to support the Alzheimer�s Association. 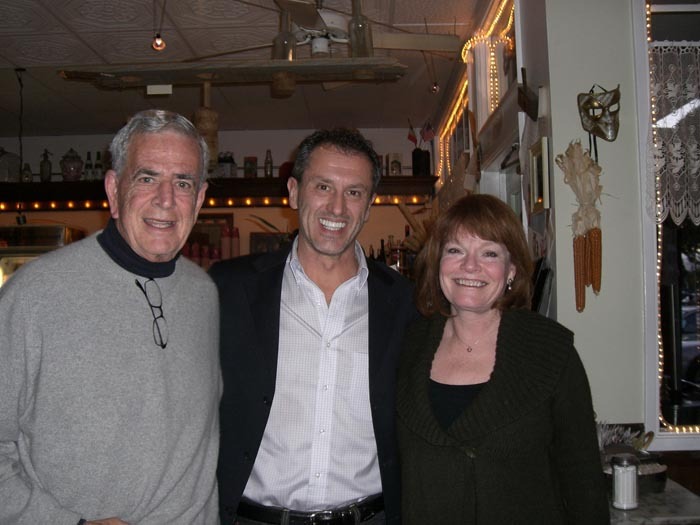 Along with other Santa Barbara restaurant owners Renato and his staff welcomed the opportunity to participate in the event that donated a percentage of the dinner tickets to support the cause. For information visit: www.viamaestra42.com. Birte Andersen and her late husband opened their first restaurant in Santa Barbara on Milpas Street, and later moved to their current location on State Street. 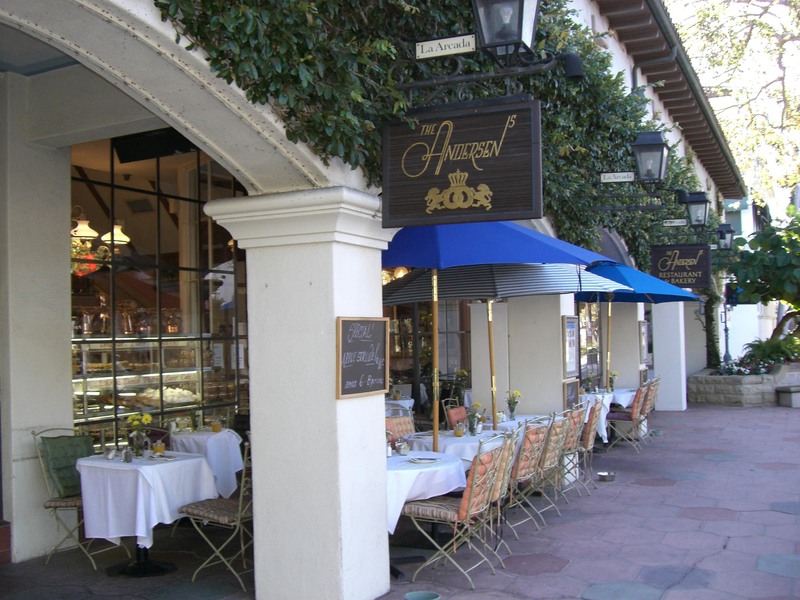 Her husband was an artist who came from a famous baking family in Europe and for practical reasons opened a bakery and caf� in Santa Barbara. According to Birte he was a master at original Scandinavian favorites, and by looking at his many painting that fill the walls of the restaurant you can see he was obviously a very talented artist. 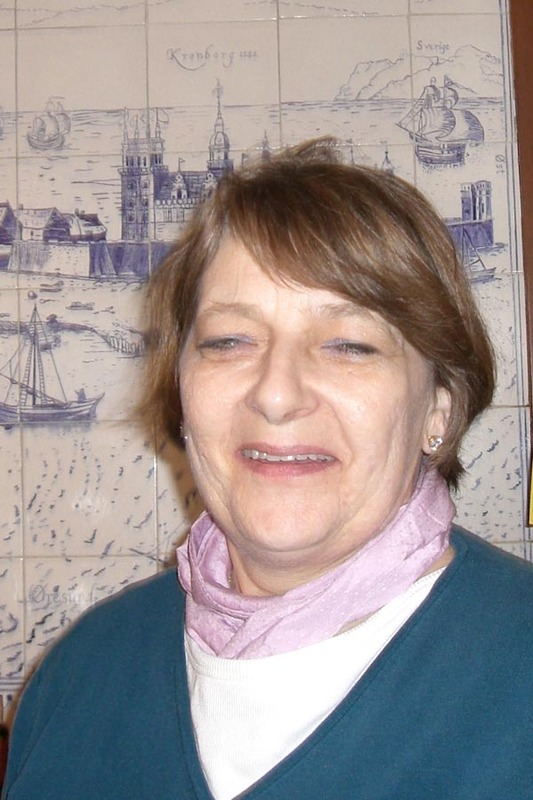 Birte and her daughter Charlotte Andersen now run this charming and inviting bakery and caf�, where the food is reasonable, the service is great, and the food is always delicious. The pastries are beautiful and outstanding, and local patrons, as well as many customers throughout the US special order her divine all occasion cakes online. �Sweet dreams are only a click away� says Birte. The menu offers everything from a cr�me puff with tea to a full lunch or dinner that comes with home-made soup or salad. Entree favorites include wonderful old world dishes, including schnitzel with spatzle that is prepared perfectly, and can be enjoyed with your favorite wine or beer. They also have a full espresso bar and offer a delightful high or low tea. I have been revisiting Andersen�s since the early 1980s, and my family love Birte and her wonderful warm welcome, and her totally nostalgic menu items keep me coming back for more. I have shared many happy times with my family sitting outside people watching over brunch or lunch. For catering details and additional information visit: www.AndersensSantaBarbara.com. 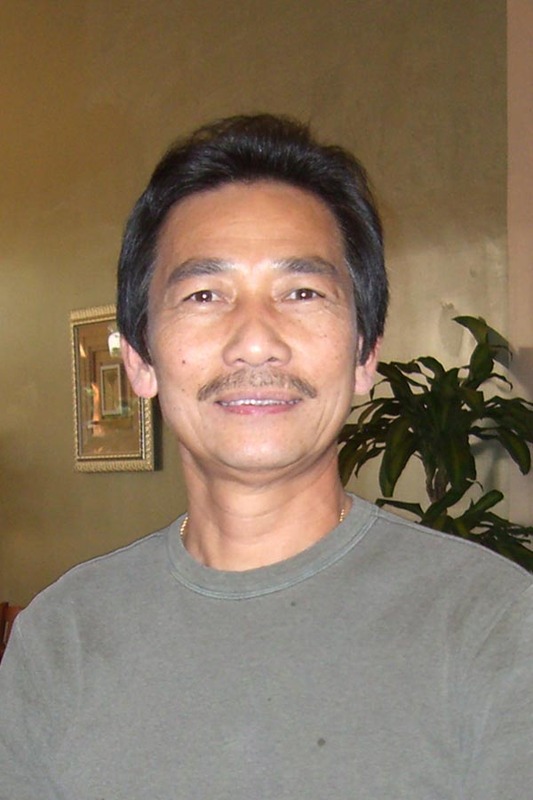 The owners of Saigon In & Out on Milpas Street in Santa Barbara have opened a second eatery at 1230 State Street. The welcoming dining venue is filled with beautiful greenery, and offers a menu overflowing with flavorful Vietnamese favorites. House specials include egg rolls with shrimp, pork, crab meat and lettuce that are served with a special sauce combining sweet and tart. The golden butter shrimp with lettuce are also a great starter. Soups are almost ceremonial in presentation. Patrons may serve themselves soup from an ornate silver bowl sitting on a warmer. The seafood with egg noodle soup is very colorful and comes with fresh shrimp, vegetables, pineapple and jelly fish. Among my menu favorites is the chicken curry with rice noodles. The curry is rich and just right, while the noodles are very light. 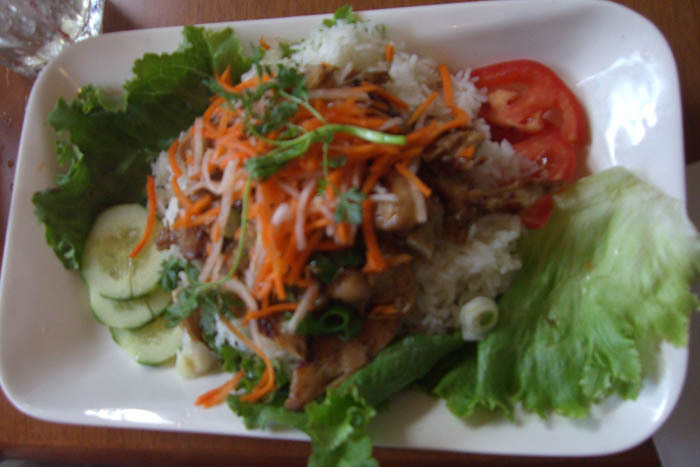 Vietnamese food is traditionally light, and healthy. It fills you up but never leaves you feeling too full. Mint and cilantro are used freely in their recipes, and everything is fresh. The menu offers many fish, beef, and chicken dishes with rice vermicelli, and many unusual vegetarian dishes that I hope to try on another visit. Beverages include Vietnamese beer, wine, a wonderful tea called Tra Nong Dac Biet that is served hot or cold and pairs perfectly with menu selections. 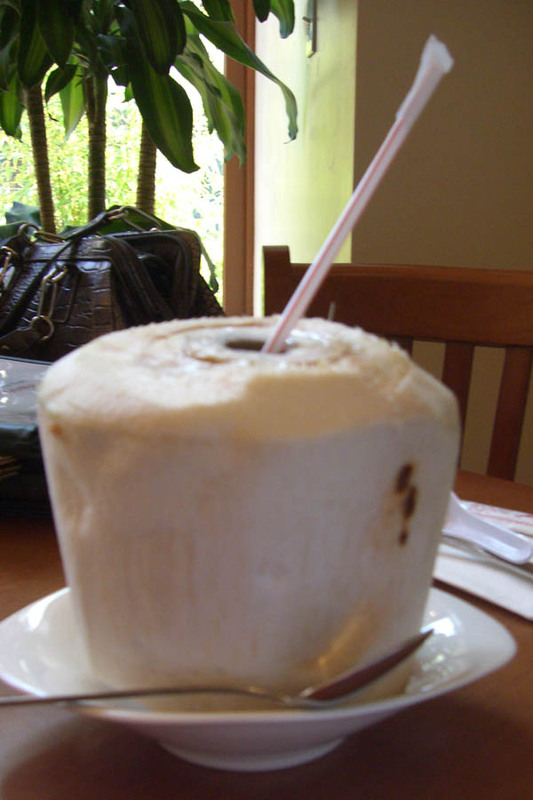 Tuoi is a fun and refreshing coconut drink enjoyed with a straw right from the coconut shell. The staff at Saigon In & Out are very nice. They offer guests help in food selections, and are happy to answer any questions about specific dishes. The kitchen staff are young, energetic, and know their stuff when it comes to Vietnamese favorites. For information visit: www.siagoninandout.com. Mary Sue and Susan created this distinctive roasted almond salad dressing as the perfect compliment for spring greens and vegetables. Feel free to substitute your favorite veggies--everything from lightly steamed green beans to saut�ed sugar snap peas to thinly sliced, pan seared baby artichokes. Blanch the asparagus in a large saucepan of boiling salted water until bright green, about 1 to 2 minutes. Immediately transfer to a bowl of iced water. Drain and cut on the diagonal into 2-inch-long pieces. Set aside. Heat the olive oil in a medium skillet over medium heat until very hot. Saut� the mushrooms just to soften, about 1 minute. Add the garlic and saut� briefly until the aroma is released. Remove from the heat. Stir in the parsley, lemon juice, salt, and pepper and set aside to cool. In a large mixing bowl, lightly toss the baby greens with about half of the Almond Vinaigrette. Divide into 6 portions and place on serving plates. Divide the mushrooms and sprinkle across the top. In the same bowl, toss the blanched asparagus with the remaining vinaigrette. Divide among the salads, fanning the spears across the top. Preheat the oven to 350 degrees F. Spread the almonds on a baking sheet and bake until slightly golden, about 5 minutes. Set aside to cool. When the almonds are cool, transfer to a blender or food processor along with the remaining ingredients. Puree until smooth. Store in a container in the refrigerator up to 5 days. Anne-Sophie Pic at the Beau-Rivage Palace, a new gastronomic restaurant at the landmark Lausanne hotel, opened its doors today, adding an exciting dimension to the culinary tradition of the Lake Geneva region. Anne-Sophie Pic is currently the only female chef in France with three Michelin stars. The daughter of Chef Jacques Pic, and granddaughter of Andr� Pic, founder of the eponymous three-star restaurant in Valence, Anne-Sophie Pic has aligned her name and creativity with one of the most respected hotels in the world. Working without pretension, Anne-Sophie Pic marries originality with her classic preparations allowing the cuisine to be the star and guests to savor every flavor. This understated attention to detail is evident at every stage of the meal, from the presentation on the plate to the refined service, from the welcome at the door to the contemporary d�cor, all informed by the same dedication to simplicity. Celebrated for her fish presentations, Anne-Sophie Pic's menu features fresh sea bass and turbot from coastal waters, among other inventive fish, meat and poultry options, as well as an homage to her father called Sea Bass with Caviar "Jacques Pic." The appetizer menu offers what is freshest from the market and ranges from a presentation of Fresh Morels served with a Coulant of Parmesan Reggiano to Sauteed Frogs Legs. The dessert menu, orchestrated by Chef P�tissier Philippe Rigollot, rounds out the experience with fruit and chocolate inventions as well as a Grand Marnier Souffl�. Seven-course tasting menus are an option for the complete Anne-Sophie Pic experience. For reservations, please call (41) 21 613 33 33. New York City's StarChefs.comTM, the award-winning online culinary magazine, is including Napa Sonoma in its four U.S. city tour in 2009 with a series of June events to engage both the public and the culinary community. The Rising Stars Revue on the 17th will be the premier event. On Wednesday, June 17, 2009, StarChefs.comTM will present their Rising Stars Revue at Charles Krug Winery, a walk-around tasting gala for the public featuring the Napa Sonoma Rising Stars and their signature dishes, cocktails and wine pairings. Rising Stars is a national award that recognizes up-and-coming chefs, pastry chefs, sommeliers and mixologists from around the country. Rising Star candidates are nominated for consideration by the StarChefs.comTM Advisory Board, previous Rising Stars Award Winners, local food media, StarChefs' editorial research and nominations through the starchefs.comTM web site. 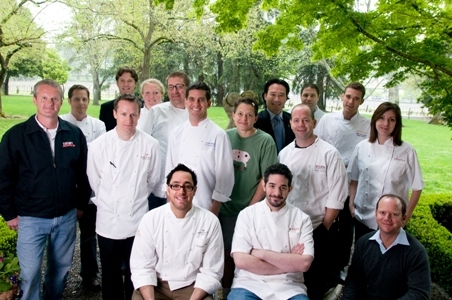 Winners are chosen by the StarChefs.comTM editorial team via in-person tastings and interviews. StarChefs interviewed and tasted from over 50 restaurants in the Napa Sonoma area to determine those that represent the frontrunners in Napa Sonoma's dining scene. The StarChefs 2009 Napa Sonoma Rising Stars Award winners are: Chef Jeremy Fox of Ubuntu, Chef Eric Korsh and Chef Ginevra Iverson of Restaurant Eloise, Chef Christopher Kostow of Meadowood, Chef Nick Ritchie of Bottega, Chef Matt Spector of JoLē, Chef Philip Tessier of Bouchon, Hotel Chef Jesse Mallgren of Madrona Manor, Pastry Chef Deanie Hickox-Fox of Ubuntu, Mixologist Scott Beattie, Sommelier Yoon Ha of La Toque and Sommelier Geoff Kruth at The Farmhouse Inn , Restaurateur John Toulze of the girl and the fig, fig cafe, Estate, Concept Award Chef Duncan Gott of Taylor's Automatic Refresher and Sustainability Award Chefs John Stewart and Duskie Estes of Bovolo and Zazu. Tickets to the Rising Stars Revue are $75 per person and are available at www.starchefs.com/risingstars or by calling 212.966.7575. VIP tickets are $125 and include a private, pre-event reception hosted by Meadowood with vintage Nicolas Feuillatte Palmes d'or Champagne and Petrossian caviar plus early entry to the gala. A portion of the proceeds will be donated to the V Foundation, a leading supporter of cancer research. Lead sponsors of the Revue include Jade Range, Vita-Mix, Winston Industries, The Perfect Puree of Napa Valley, Stella Artois, Nordaq Fresh, WJDeutch & Sons, Champagne Nicolas Feuillatte, Meadowood Napa Valley and Napa Sonoma and Diablo magazines. CEO and Editor-in-Chief Antoinette Bruno brings more than a decade of experience in the foodservice industry to StarChefs.comTM and was recently chosen to judge Food Network's popular Iron Chef America. She is thrilled with the culinary talent in Napa Sonoma: "The Napa and Sonoma culinary scene can be largely captured with two words: artisanal and local. The level of craftsmanship-from in-house charcuterie programs to hand-made pastas and cheeses-in this region is perhaps unrivaled by any other market. We tasted an incredible amount of house-made charcuterie from talented chefs with both large- and small-scale curing operations, and several chefs with extensive gardens or even farms to supply their restaurants with top-quality produce fresh from the earth." StarChefs.comTM, the magazine for culinary insiders, has been serving the industry since 1995 with a clear focus on working chefs. With a dedicated mission to catalyze culinary professionals' success and give them the tools they need to overcome their specific challenges, StarChefs.com'sTM original culinary content is driven by in-person tastings and interviews across the world. In addition to featuring top chefs, pastry chefs, sommeliers, and mixologists, the StarChefs.comTM JobFinder is the leading job board connecting culinary and hospitality professionals to careers in the foodservice industry, featuring cutting edge, interactive classifieds technology. StarChefs.comTM features 25,000 published pages of original, chef-focused culinary content, and receives 20 million hits, 9.8 million page views and 680,000 unique visitors per month. StarChefs.comTM was nominated by the James Beard Foundation for Best Website Focusing on Food, Beverage, Restaurant or Nutrition in 2008. Its Board of Advisors is made up of 20 of the country's most influential chefs, including Jean-Georges Vongerichten, Daniel Boulud, Norman Van Aken, Todd English, Marcus Samuelsson and Bobby Flay. Classically-trained in France, although born in Texas, Executive Chef Sebastien Archambault of RH at Andaz West Hollywood is pleased to be back on U.S. soil after working at several Michelin-starred restaurants in Europe. Always a strong proponent of local market to table cuisine, the accomplished 33-year-old is wowing diners with dishes featuring California produce and other ingredients from nearby purveyors. In addition, Archambault�s culinary prowess and the carefully choreographed hustle and bustle of the busy, entirely open kitchen that he oversees are on view for guests to �experience� firsthand. At the strikingly sleek and chic, yet understated RH, Chef Archambault�s menus change on an ongoing basis as he selects from the wide variety of fine ingredients available at the Santa Monica Farmers Market and from other local purveyors with whom he is fast establishing relationships. Thus, one distinctive feature at RH is its Market List option whereby diners may choose a fresh entr�e from a select list; choose a preferred preparation from among seared, stir-fry or tartar; and then choose which pristinely fresh vegetables they are craving; and which sauce or chutney they would like. From the Market List, diners may also design their own salads and sandwiches. Or, they may decide to order from a more traditional menu listing featuring dishes such as: Seared Diver Scallops with Orange Braised Endive and Cilantro Seeds; Double Pork Chop with Garlic Confit, Artichoke Hearts and Pancetta; or Slow Braised Beef Cheek with Black Olives and Baby Carrots. Previously, Archambault was the executive chef at Le Pirate in Corsica, which earned a Michelin star under his toque. A graduate of L�Ecole Superieure Cuisine Fran�aise Ferrandi (ESCF) in Paris, he served under mentors Alain Ducasse at the three Michelin star-rated Raymond Poincar� and Jean-Fran�ois Rouquette at Park Hyatt Place Vend�me, Le Bourdonnais and Pur Grill; as well as worked at Guy Savoy�s Bistro Les Bouquinistes � all in France. Now at 100-seat restaurant and bar RH that opened in January 2009, Archambault is deftly overseeing a team that prepares and serves breakfast, lunch and dinner during the week. On weekends, he has also created a best of breakfast and lunch brunch menu enticing neighborhood and West Hollywood destination brunchers from all over the world with fare such as: Chile Poblano and Cheddar Egg White Frittata; Black Angus Burger with Fried Egg; Breakfast Salad with Romaine Chicken and Fried Egg; and Potato Waffle with Smoked Salmon and Poached Egg with Dill Cream.